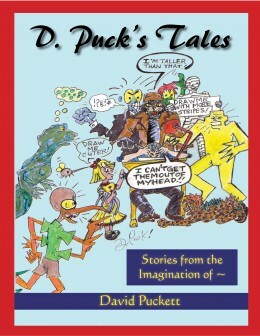 D. Puck’s Tales is a collection of graphic short stories and illustrations by David Puckett. David states that his work speaks for itself and contains no philosophical message save that to entertain its readers. A brief preview is available. 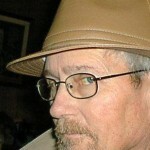 "David Puckett (aka: ~D.Puck') has had artwork and writing in various publications since the mid 1960s. He and his wife, Debbie, live in South-Central Kentucky with their aging house cat, "Bob".He describes himself as not so much of an artist as a story teller and any "style" of artwork he possesses comes from the combination of influences of all the many fine talents whose work he had viewed and enjoyed over the years."